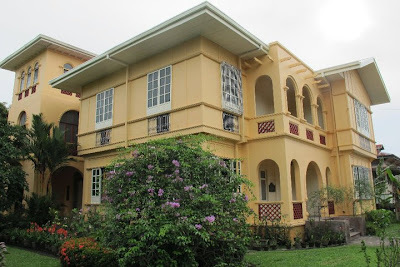 Last October 21, 2012, sixteen food and travel bloggers from all over the country who were here for the Masskara Festival, came on a mini-tour of Silay, organized by the Negrense Blogging Society, Inc. This side trip was made possible with the free use of the new Merci bus courtesy of it's CEO, Mr. Jonathan Lo. We were only going to do a half-day tour because the bloggers were scheduled to watch the Masskara street dancing in the afternoon. The short itinerary included visiting the two lifestyle museums of the city, the Bernardino Jalandoni House (Pink House) and the Yves Gaston House (Balay Negrense). We stopped for a while for some photo-ops at the Maria Ledesma Golez House, now a bank, the RCBC and the Lope Severino Building, half of which is now a hotel and the other half, commercial stores. 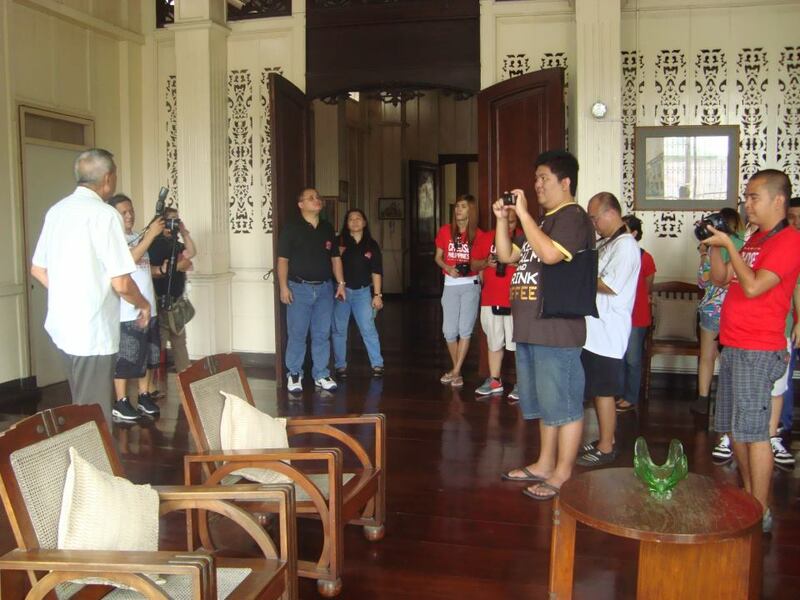 Next stop was the Jose Gamboa Ancestral House which was used in part for the iconic movie, Oro, Plata, Mata. This house is not open to the public but it's current owner, Mr. Buddy Jison was very kind to allow access to his ancestral home. In fact, he personally welcomed and showed us around, giving us some history about the house. The next ancestral house we visited was that of Dr. Jose C. Locsin, Silay's most notable son. This house is also a private home but it's occupants, Neil Solomon "Solo" Locsin and Tita Charet Locsin willingly opened it's doors to us. Solo is Dr. Locsin's grandson and also a consultant of the city, responsible for many of it's current historical and cultural projects. The house is beautifully preserved and is one of the biggest in the city. It is also a house which has witnessed history happen within it's walls. We were served with homemade tsokolate and biscocho, a traditional Silay merienda, at the Locsin house and from there, we finished our short tour passing by the Lacson house for some food tasting of original Silay recipes and then on to the San Diego Cathedral for a quick view of the church and the ruins of the original church behind it. 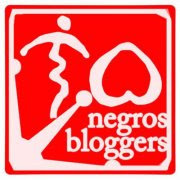 To our blogger friends...hasta la vista! See you next year and we promise to give you a more comprehensive tour of my beloved Silay...where life is indeed sweeter and the past is forever!